Farm Stall related culinary experiences. 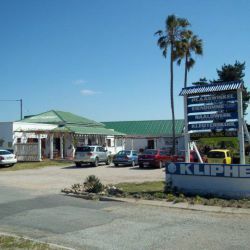 Klipheuwel 'Padstal'(Farm Stall) is situated next to the N2 at the Off-ramp to Klein-brak Rivier towards Riverside.The Palm Trees that stands in front of the Farm House, was planted in 1932.The Old Farm House was converted into a Farm Stall for the area that Sells Handmade Gifts, Fresh Vegetables on Fridays, and in General, Good Value for Money Coffee, Cake, Farm Breakfast and Light Lunches. 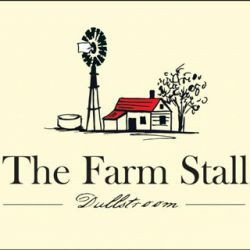 You can expect good value for money food, beverages, gifts and service with a smile.You can enjoy Fresh Coffee, Cake of the Day, Tarts, Pies, Light Lunches and our Famous Roosterkoek with or without fillings at our Coffee shop/restaurant.The Farm Shop has all sorts of Gifts and Products for sale. The "locals" of our area, have a distinctive taste for homemade treats, savoury and sweet, hence the origin of Lientjie Lekkerbek! Come have a look and see what is on the shelves and in the refrigerator. Our home baked cookies and biscuits are not to be missed. At the Farm Stall we, as a family, pride ourseves in our 'no frills' approach. We serve good food in a warm inviting atmosphere. What we cannot cook, bottle or bake ourselves, we source with extreme care. We endeavour to stock and sell unique quality products with a touch of nostalgia. From delicious fresh seedloaves to home made roosterkoek we are truly one of a kind in this area.